On the Road Again :: Look Ma, No Shoulders! After a decent rest with family and friends, it was time for us to head north to Omaha so that we could catch the Amtrak to California. 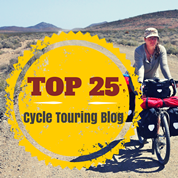 We got a really late start and although the roads weren’t heavily travelled we were pedalling pretty slowly. You don’t realize how much a week or more off the bicycle can affect your ability to ride well. It takes some time to get back into the groove of things! After working through the “thick” feeling you experience when first cycling after a long rest, we began to relax into the bicycles, and to notice the warmth of the sun on our backs and the beauty of the landscape before us. Soon enough it was time for lunch so we pulled off onto a gravel road and had our mid-day meal. On an after-lunch excursion (a.k.a. pee break) I found a tree laden with this bizarre fruit or nut. Does anyone out there know what kind of fruit or nut tree this is? 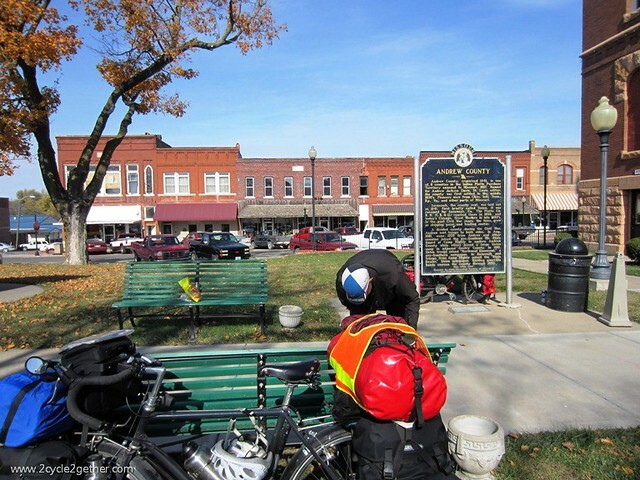 Our goal for the day was to make it to the AOK Campground in St. Joseph, Missouri. Once again, because of our late start and the short days, we found ourselves cycling into the evening hours, which wouldn’t have been so bad had we not been on gravel roads that were difficult to navigate (due to the size of gravel) and seemed to be guarded by dogs every 200 feet which made the going slow. Each time a group of dogs would come aggressively growling, barking, and racing our way, we would have to dismount and talk to them until we saw the tails wagging, a sign that they were friendly and relaxed. Then we would have to walk with them for bit, mount our bicycles, and slowly roll away, eventually building up speed until they didn’t follow us any longer. 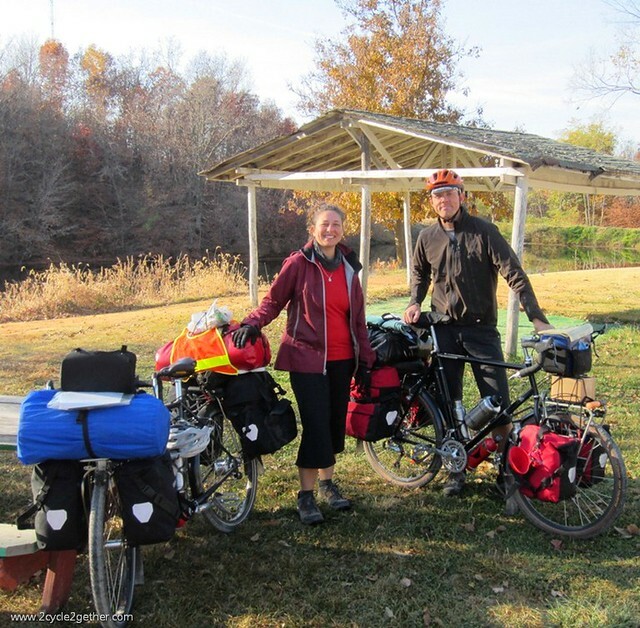 Surprisingly, we also had a chance encounter with two cute little barn kitties that insisted upon clawing their way up our panniers and perching themselves on the highest spot they could find on our bicycles, so that we could better cuddle with them. They followed us for at least a half a mile down the dark roads, their meows growing fainter as we pedaled on. We arrived to the campsite late, hungry, and grouchy, but oh so grateful to have access to clean bathrooms and hot showers. By the time we had our stew dinner, checked email, and listened to the Travelling Two podcast showcasing Shane’s trip to Africa (and a mention of our Tiny House and the Tiny House movement) it was midnight before we crawled into our tent. We slept through most of the next morning and by the time we considered getting back on the road it was late, and the thought of riding into the evening again was enough to make us want to spend a second night at the campground. That decision wasn’t necessarily a bad one, as we needed to reconsider our route north, after discovering most of the state parks we had planned to camp in had suffered severe damage from recent flooding and were closed. In the end we decided to take more rural roads north, which meant we would be wild camping instead of staying in parks with facilities. 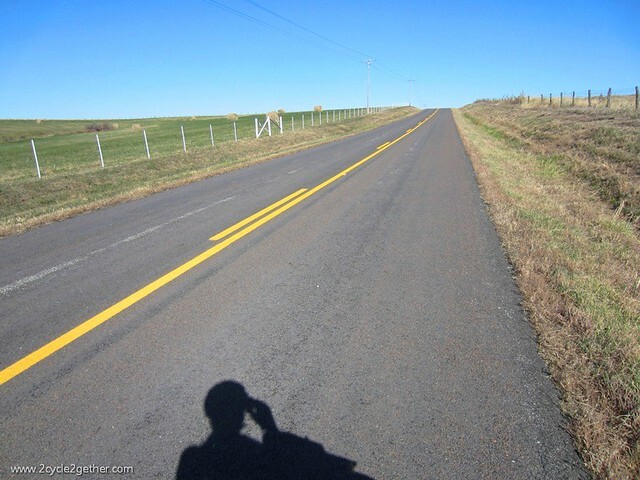 Although the roads had no shoulders, there was little traffic, making the ride enjoyable. 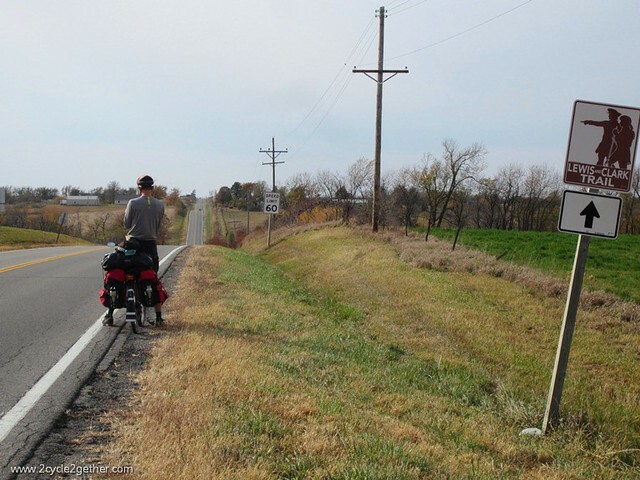 We did experience a substantial headwind for most of the week, which seemed to be forever raging over the rolling hills of Missouri. 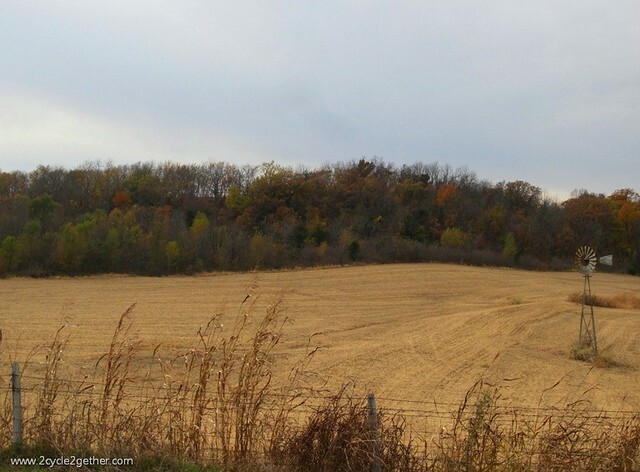 After days of riding through the monoculture dominant farmland with little tree cover we had to wonder what the landscape might have looked like before clear-cutting and industrial agriculture ravished the area. It was also sad for us to see so many farmers using GM seeds, signs proudly displayed at the edge of their fields. 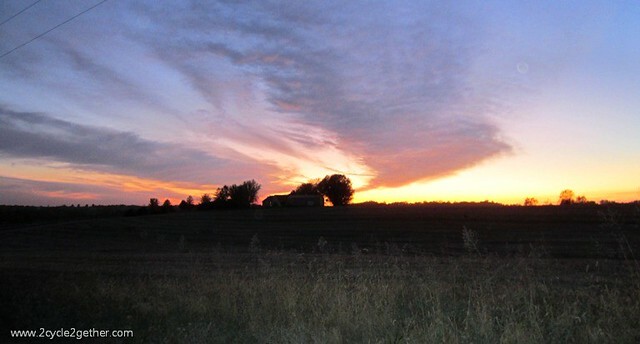 On the backroads of Missouri we didn’t find a lot of options for camping, with fields exposed to the winds and private property signs and fences louding displaying farmers intentions, we looked for quiet, out of the way, public places to set up camp. 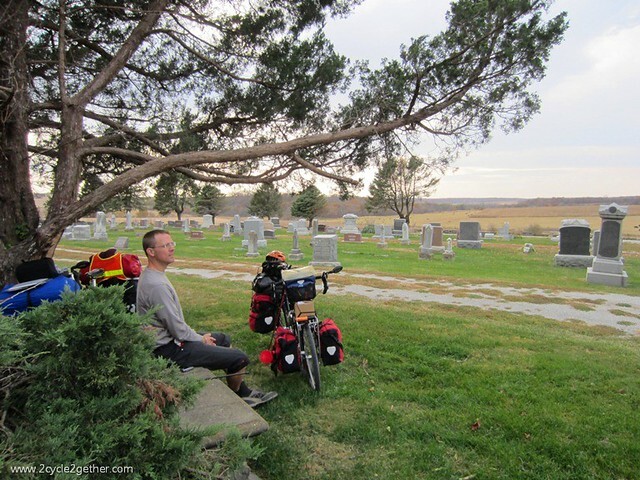 Outside the small town of Filmore, Missouri, we found a cemetery that met our needs, was protected from the wind, was far enough away from the roads to ensure a quiet night’s sleep, and offered a spectacular view of the valley below us. The best part of the evening was the sunset. What a beautiful and peaceful place to lay our heads for the evening! 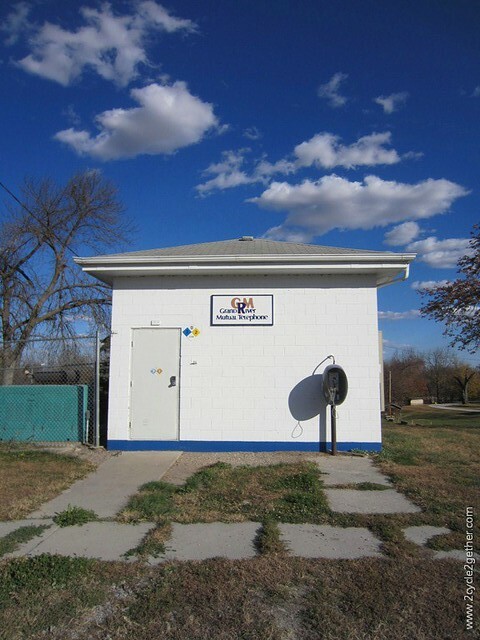 Graham, MO :: Telephone Department Building with payphone that still works! 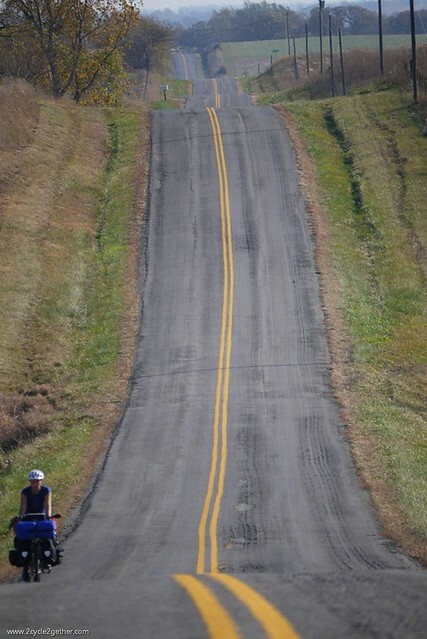 Determined to make headway, we had a good day of riding, despite the incessant hills. 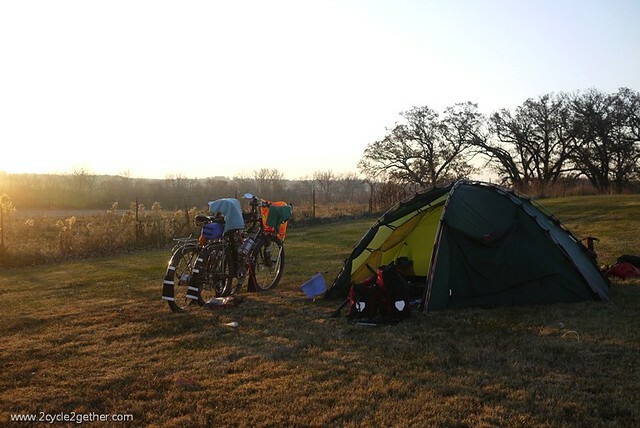 On Halloween eve, outside the quiet town of Elmo, Missouri, we found another perfect campsite. This time, the cemetery came with neighbors, of the four-legged variety, who mooed their gentle welcome. 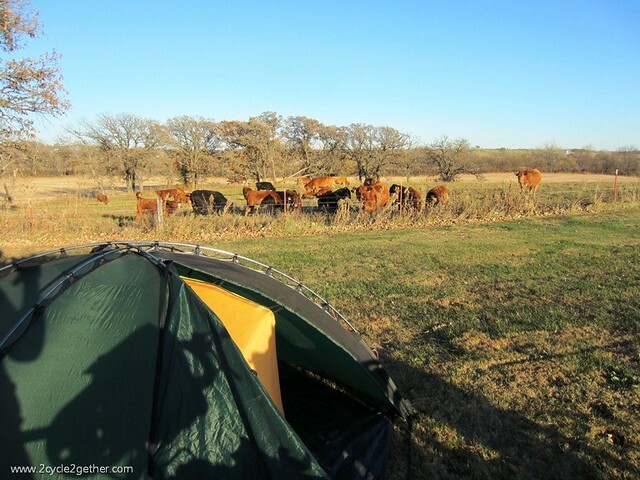 They were very curious and gathered round to watch us pitch our tent for the evening. 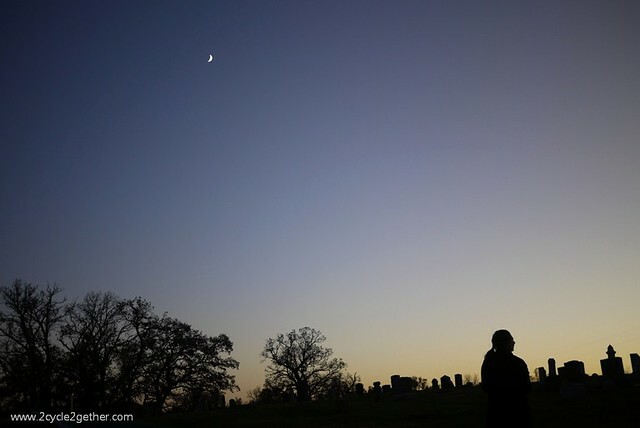 As night approached we realized a silence we had not experienced before – zero traffic sounds, no crickets or owls or dogs – we could only hear the occasional movement of grass from the cows grazing. Tent vents wide open to take advantage of the perfect sleeping temperature, we fell asleep while gazing at the stars. It was an amazing evening. The next morning was equally as breath-taking and peaceful. 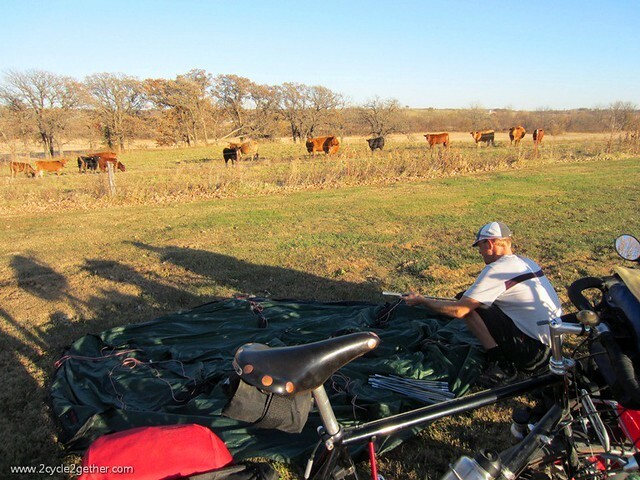 We woke to the cows trotting off to breakfast and after our own meal of tea and oats we loaded our bikes up, ran through our morning stretches, and ventured back on to the quiet back roads of my home state. 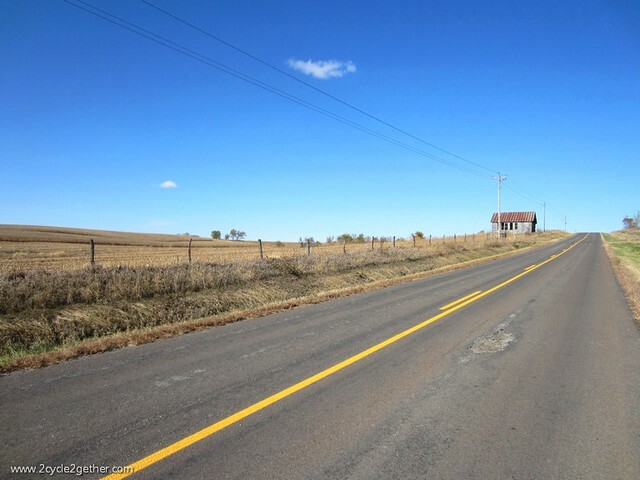 9 comments to On the Road Again :: Look Ma, No Shoulders! wow! 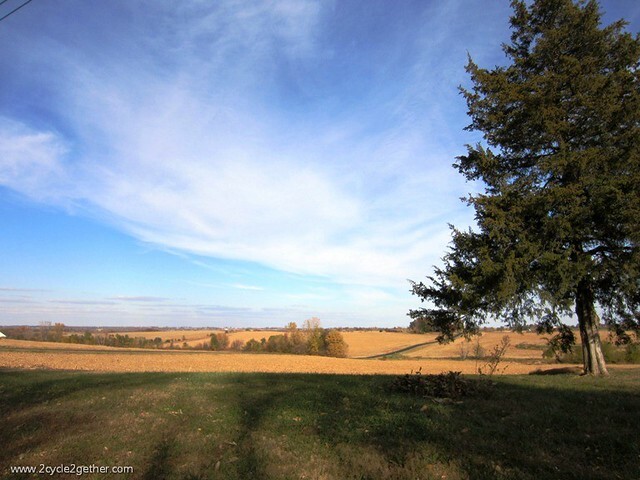 You really captured the flavor of the Midwest with your camera. The fruit is commonly called Osage-orange, and Hedge-apple, and Horse-apple. It is not edible, although I do see them for sale in the produce department of grocery stores. 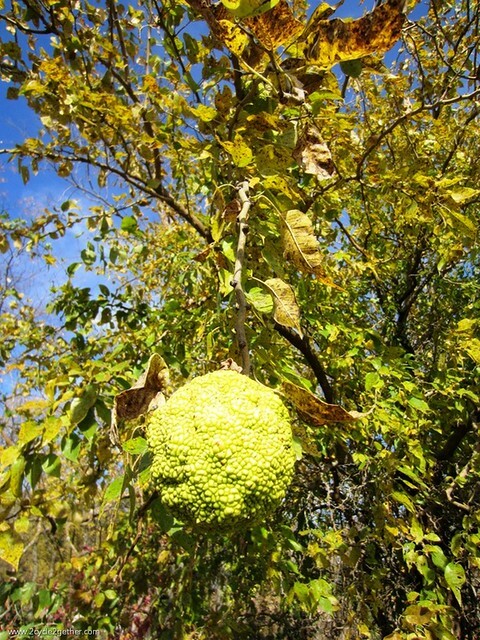 Your mystery fruit is an osage orange. The last known animal to eat its fruit is the long extinct giant sloth. But despite its inedible fruit it has its uses, the trees are good for hedgerows or living fences and the wood is a lovely orange color. Harrison! Could you be any sweeter?! We are having a wonderful time in CA – it is beautiful here! Kai is up in bed sick though, and has been for some days now. We’re getting a prescription to help relieve his sinusitis later today, and hopefully will be able to hit the road again soon. Luckily, we’re staying with super-duper lovely friends, and we couldn’t have a better, more peaceful, loving place to recover. 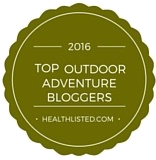 Thanks Joel & Beth for the info on the Osage Orange – fascinating! 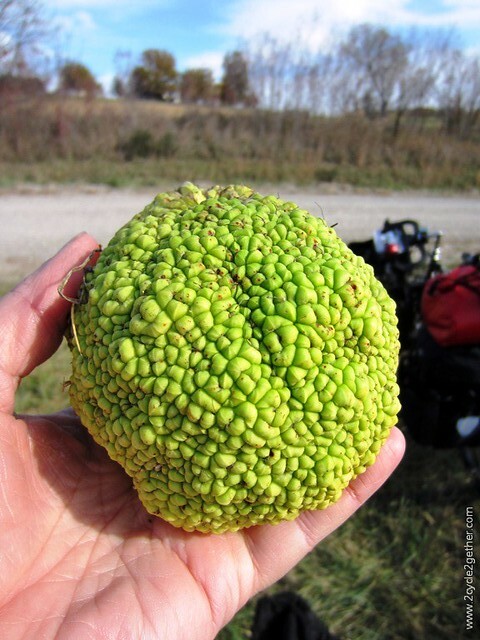 I saw lots of what you’ve now identified as osage oranges when I was riding through Missouri (and wondered what they were), thanks Shelia for asking the question; Joel & Beth for answering it.